“Working with Rebecca Massoud has been a blessing to me. She delivered exactly was I was looking for to help me take my coaching business to the next level quickly and painlessly! “Before starting Rebecca Massoud’s coaching program, I felt overwhelmed by the mysteries of running a business. After attending Rebecca’s Branding Workshop, it became clear to me that she would be the mentor I was looking for to help me brand my fashion company. The branding archetypes work we did together was a breakthrough moment for me. I realized what an amazing system this is to help me clarify my gifts and own my brilliance. 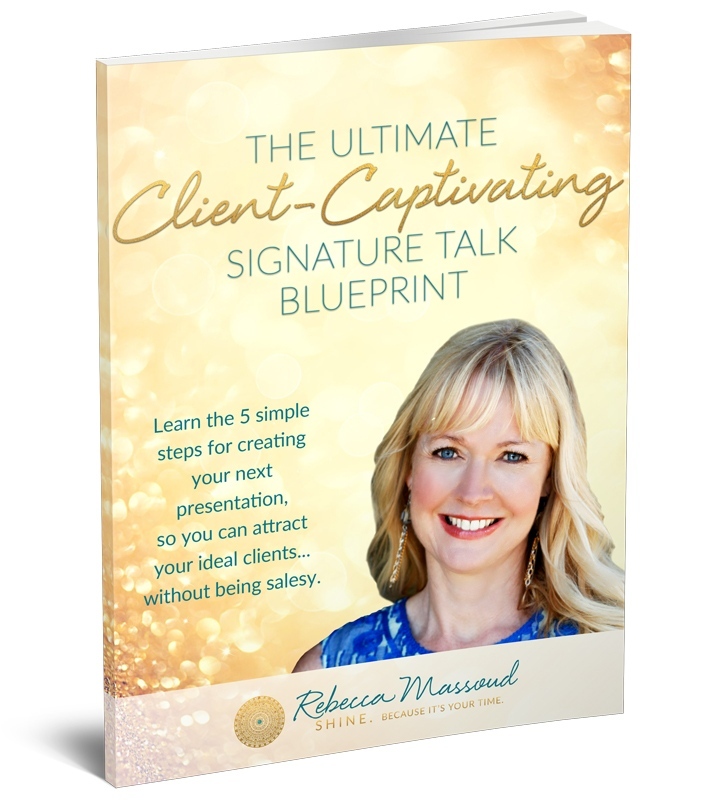 “I worked with Rebecca during a career transition. I had left my corporate job five years earlier to do graduate work, write a book, and then publicize it. After that hard work and solitary time, I wondered, “Who am I now, and what do I do next?” Especially because this dream-come-true had eaten through my husband’s and my savings. “As our Platinum package unfurled over six months, Rebecca showed up with consistence, compassion, and optimism. She created a safe, reflective container where I could explore and develop my career identity. The accountability was very important. I began noticing, scheduling, and completing all kinds of new experiences: walking in 5Ks, attending a meditation retreat and a writing conference, and taking my family to Italy. Not one of these things had been on my radar before, and they all brought immense joy and vitality. Rebecca coached me to place more trust in myself and my yearnings, and to release old feelings of unworthiness and fear.